Proven track record When living in an uncertain economy, doesn’t it make more sense to step into a business that already has established clients, trained employees and measurable success? The odds of success are much greater when the prior owners have absorbed start up costs and overcome all the pitfalls that happen within those critical first two start-up years. Non-bank finance option So many people think they have to qualify for hundreds of thousands of dollars, or have huge amounts of cash on hand in order to buy a business – not true. 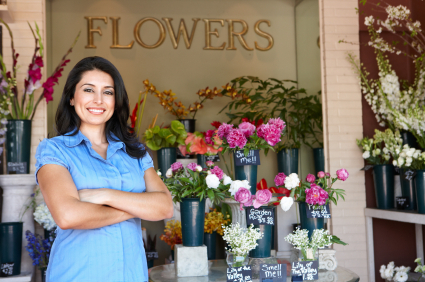 In fact about 90% of small business sales today are owner financed. That’s right, the owner holds the note and serves as the bank. In recent years, the SBA and banks have become very strict and harder to work with. Small business owners are becoming more flexible and willing to mentor, finance and even still participate in the business, on a part time basis. The buyer gains insight, has more flexible terms and even a little extra support he/she may not have had otherwise. It’s a win/win for everyone. Instant income Starting a business from scratch requires you vest income, but who knows how soon you’ll get it back. Wouldn’t it be nice to be able to garner a paycheck or see cash flow from day one? By purchasing an existing business, you can see were you can afford to pay yourself (instead of playing that dreaded uncertainty game). You can also control the cash flow, to ensure you maintain a steady lifestyle as you grow your new business. Very different scenario than what a start up has to offer. This entry was posted in Business 2.0, business brokering, Millennial Boomer, patty rappa. Bookmark the permalink.